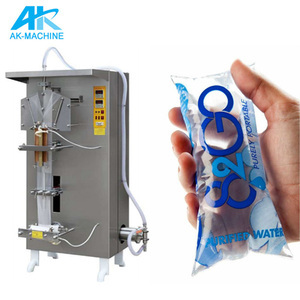 Anhui Koyo Beverage Machinery Co., Ltd.
Anhui Keyo Automation Machinery Equipment Co., Ltd. The temperature of heat-sealing is controlled automatically, the production is beauty and fastness, the machine adopts stainless steel shell, and the sanitation is guaranteed. we can arrange technical staff to help customer set up whole production line for mineral water, pure water,coca-cola, milk, juice and vinegar,oil, we are profession for making it. If anyone who is interested in such field wants to buy the whole equipments and machines, pls contact us freely. 1)The machine can direct use of 220v voltage is fully automatic packaging, easy to operate, and effective to provide the working benefit to save the cost of manual packaging. Ltd, is a production manufacturer and exporter specialized in water treatment plants,beverage filling machine, packing machine, bottle blowing machine, injection moulding machine and spare parts of filling line. 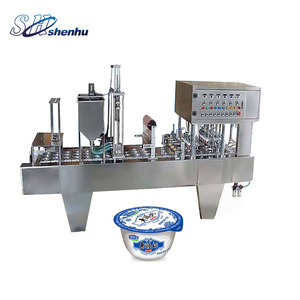 There are many development engineers of filling machine in our We devote ourselves to the development, research and production of liquid food and beverage packing and filling industry. 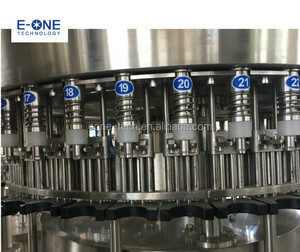 Shanghai E-One Intelligent Technology Co., Ltd.
Guangzhou Looker Packaging Machinery Co., Ltd.
Hangzhou Zhenwei Plastic Packing Co., Ltd.
koyo sachet water filling machine koyo sachet water filling machine Main Functions and Technical Specifications: This machine is high precision packing machine and the most advanced liquid compound packing machine in china, which is standing, three side sealing and intermittent. It can automatically complete Bag-making, filling, sealing, printing, cutting and counting . It is widely used to pack all kinds of liquid without gas, especially soy, wine, vinegar, juice, soybean milk, peanut oil, vegetable oil, plant oil, mineral water and liquid chemical products. Shanghai Shouda Packaging Machinery & Material Co., Ltd.
Zhangjiagang Winmark Machinery Co., Ltd.
3. Advanced programmable PLC is equipped to controlthe main machine. 4. Main electronic components are all from famous internationalenterprises. 5. All spare parts that may touch with water are made from high-qualitystainless steel. Shanghai Haochao Mechanical Equipment Co., Ltd. In 1995, it passed the test of the State Bureau of Quality and Technical Supervision and was rated as standard. 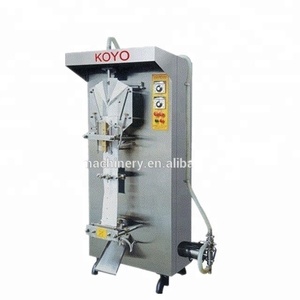 Main uses: The KOYO sachet water filling sealing machine is widely used for various kinds of liquid packing. Also we always send people to port of loading (Shanghai Port) to supervise the transfer of your goods. &bull; Quotation: Prices offered and accepted. &bull; Place order as per contract or discussion. &bull; Goods shipped as per contracted term. 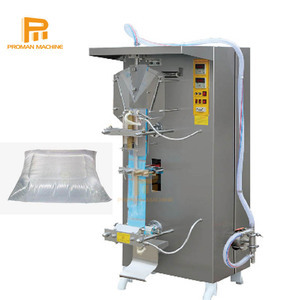 Sachet Water Packing Machine Main Functions and Technical Specifications: This machine is high precision packing machine and the most advanced liquid compound packing machine in china, which is standing, three side sealing and intermittent. It can automatically complete Bag-making, filling, sealing, printing, cutting and counting . It is widely used to pack all kinds of liquid without gas, especially soy, wine, vinegar, juice, soybean milk, peanut oil, vegetable oil, plant oil, mineral water and liquid chemical products. 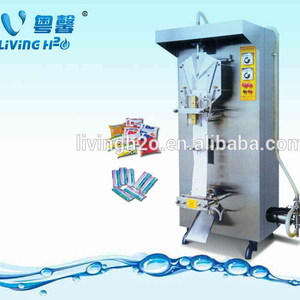 koyo sachet pure water sealing machine Features: 1)This machine is high precision packing machine and the most advanced liquid compound packing machine in China, which is standing, three side sealing and intermittent. 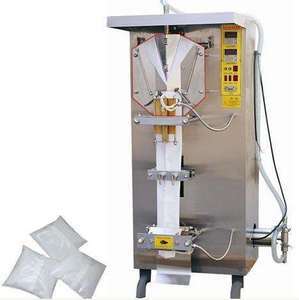 2)It can automatically complete Bag-making, filling, sealing, printing, cutting and counting . 3)It is widely used to pack all kinds of liquid without gas, especially soy, wine, vinegar, juice, soybean milk, peanut oil, vegetable oil, plant oil, mineral water and liquid chemical products. water production line/full automatic water bags filling packing machine/anhui koyo beverage This water production line/full automatic water bags filling packing machine/anhui koyo beverage composed by: Raw water tank, pure water treatment with RO system, pure water tank, UV Sterilizer (or Ozone Genetator), KOYO sachet water liquid packer which can produce pure sachet water. Pls note that all our products can be custom-made to suit your own requirements. We offer the best price base on the p roduction capacity(bag/hour) you need. 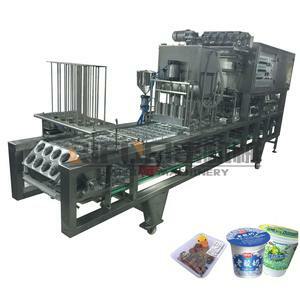 Export a lot to Africa Automatic Liquid Packaging Machine It is widely used for packing various kinds of liquid. It is automatic for ultraviolet radiation, sterilizing bag forming, code printing precisely filling, and synchronization with sealing and cutting. This series machines have been long-tested, and their performance gained a very high reputation from our clients because of the simple operation and smooth work with low failure rate. The whole body of the machine is made of stainless steel. It combines automatically filling,sealing,drop cookies,sealing again,ultraviolet disinfection in one. Widely used in food and beverage, brewing, medicine, spices, tofu, jelly, fruit juice, milk, lactic acid milk, cold drinks and other industries. Shanghai Shengyue Bearing Co., Ltd.
Alibaba.com offers 2,642 koyo water machines products. About 59% of these are filling machines, 1% are microdermabrasion machine. A wide variety of koyo water machines options are available to you, such as free samples. There are 2,562 koyo water machines suppliers, mainly located in Asia. The top supplying country is China (Mainland), which supply 100% of koyo water machines respectively. Koyo water machines products are most popular in Africa, Southeast Asia, and Northern Europe. You can ensure product safety by selecting from certified suppliers, including 128 with ISO9001, 51 with Other, and 1 with ISO14001 certification.